Vitamin B-12 is one of the vitamins from the Vitamin B series. Its existence is necessary for smooth functioning of brain and nervous system. It contributes in metabolism of every cell in human body and also multiplication of red blood cells. If you are reading this and have faced one or more of any of health issues mentioned above or anything like lack of enthusiasm and anemia then it is time you consult your doctor for a VitaminB-12 test. 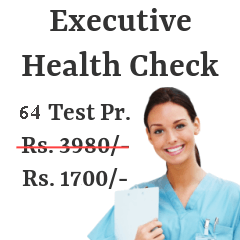 The list below contains Vitamin B-12 test packages in Mumbai. 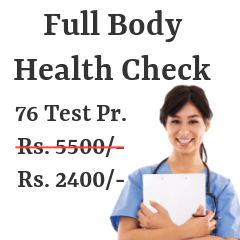 Following are the Vitamin B-12 Test centers from most reputed pathology / radiology labs in Mumbai. A deficiency of this vitamin may give rise to depression, fatigue, constipation, vision problems, loss of memory and a whole lot of other health issues. Beef, pork, ham, poultry,lamb,haddock, tuna, Milk,eggs cheese, fortified soymilk, tofu and yogurt are foods rich in Vitamin B-12. Such foods should be incorporated in one's diet for avoiding Vitamin B-12 deficiency. People who are victims of chronic alcoholism and diabetes are likelier to be suffering from Vitamin B-12 deficiency. Also vegeterians who abstain from milk, cheese, eggs and meat are also likely to fall in the same category. Such people need to get Vitamin B-12 from supplements or nasal sprays. Vitamin B-12 test is done by the diagnostic center through a simple blood test. Blood is taken out from a vein and then given for analysis. Packages offered by diagnostic centers and medical units for testing Vitamin B-12 levels also include doctor consultation. The consultation makes the patient know what to include in his or her diet if at all their vitamin B-12 levels are less than the ideal figure. Vitamin B-12 helps you to fight heart diseases and certain cancers. Not only this, but it also keeps off depression thus safeguarding the health of your brain. Maintaining optimum Vitamin B-12 levels is very important. 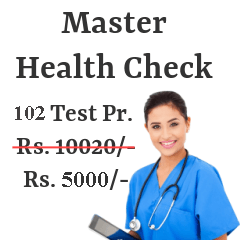 The list above contained pricing structure of Vitamin B-12 tests offered by different diagnostic centers in Mumbai. The packages can be customized to suit your needs. Feel free to get in touch with us for the needful.